Once cooled, peel them and cut into smaller pieces. Put oil in fry pan and heat it for 30 sec on medium flame. Add heeng, jeera, dhaniya powder and red chilly powder. Mix them well and heat for 15 sec on low flame. 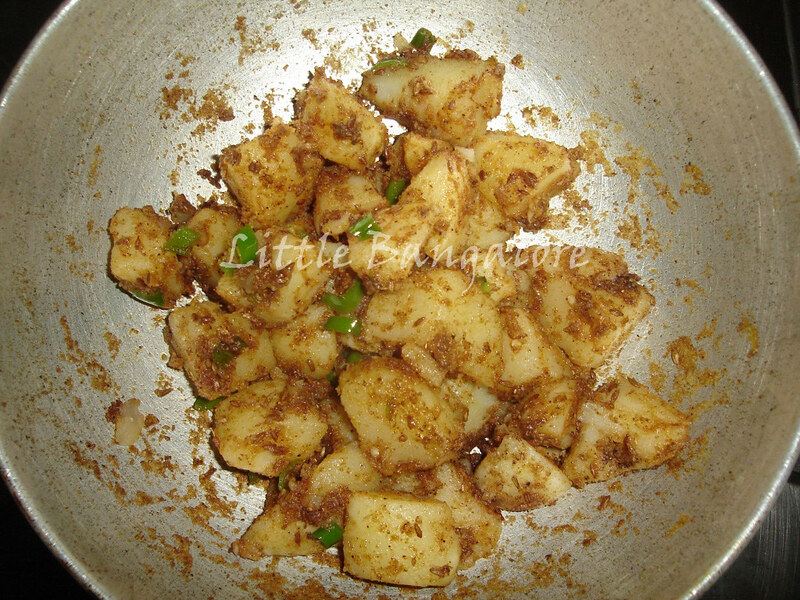 Add boiled potato pieces and chopped green chilly pieces in the spices mixture. 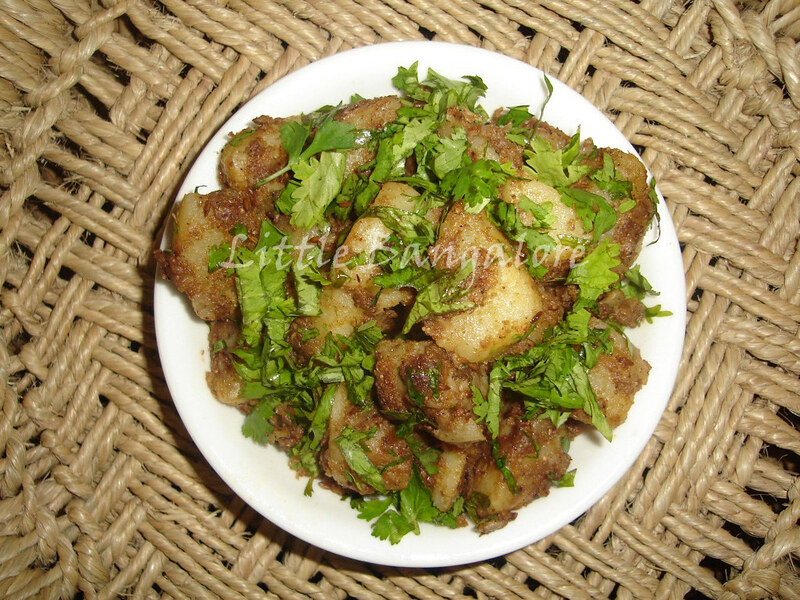 Add salt, garam masala powder and amchoor powder to them and mix well. Heat for 1 minute at medium flame. 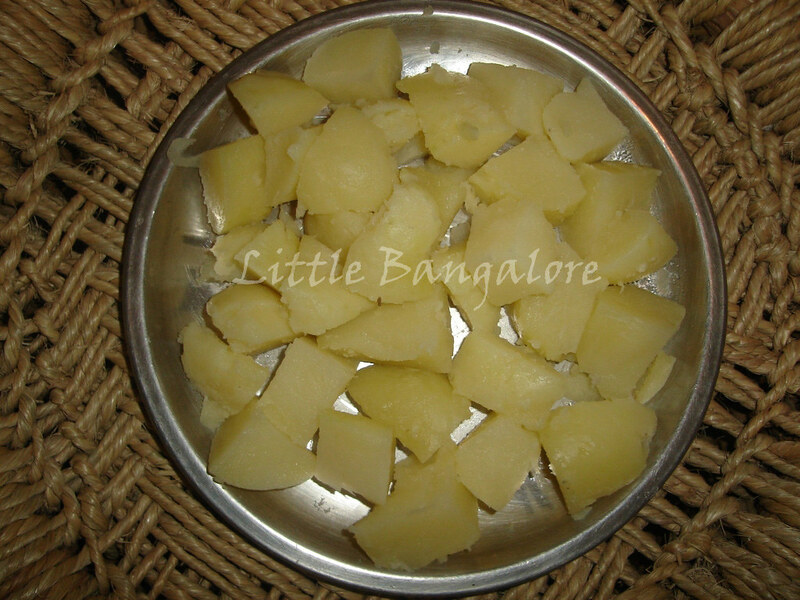 Sprinkle corriander leaves for enhancing the taste and serve hot.